After a procedure started in 2009, the Polesano white garlic was attributed the PDO mark by the European Union in 2010. 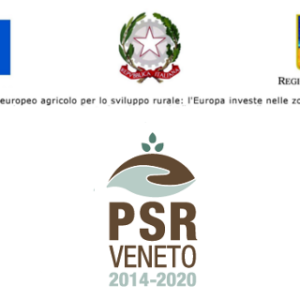 The Consortium for the Protection of the Polesano White Garlic PDO was established on 21st December 2010 at the Chamber of Commerce of Rovigo in collaboration with the Special Agency for the Fruit and Vegetable Markets of Lusia and Rosolina, with the Chamber of Commerce of Rovigo, and with Il Polesine Cooperative Society, which has been the committee promoting the PDO mark. 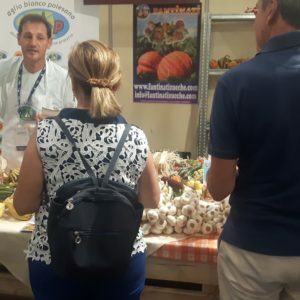 The Consortium acts in the respect of the Ministry directives to protect and promote the Polesano White Garlic PDO designation and it works in association with the producers and packagers that intend to adopt the production specification of the Polesano White Garlic. The essential condition for the producers and packagers to bear the PDO mark is to be regularly certified by the Csqa in Thiene (Vicenza), the certification body in charge. The Consortium currently consists of 29 members; the statute stipulates that only the producers (25) and packagers (4) of the product can be accepted. The President elected by the Board of Directors is Massimo Tovo (born 1969) from Sarzano (Rovigo). 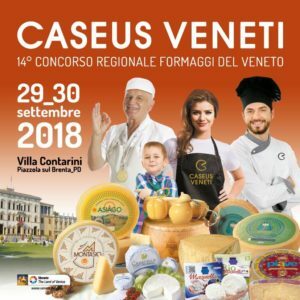 The Consortium cuts across the other trade associations of the primary sector and welcomes members of Coldiretti, Confagricoltura and Cia. Under its statute, the Board of Directors of the Consortium for the Protection of the Polesano White Garlic PDO consists for two thirds of producer members and for one third of packager members. The Board was elected in 2011 and remains in office for three years.